The NBA playoffs have arrived everyone. It’s time to strap in and get this settled. After 82 regular season games, it all boils down to this. 16 teams all vying for one prize. The question is, who wants it more? The Eastern Conference looks wide open for the first time in the LeBron James era. The Cavaliers look extremely vulnerable to me and this could be the first time since the 2009-2010 season that we get an NBA Finals without LeBron James involved. What about the Western Conference? That’s where things get even more interesting. Of course you have the Houston Rockets and the Golden State Warriors who are heads and shoulders above everyone else in the league, but when you look outside of those two teams, it really was the WILD WILD WEST this year. Only two games separate the third seed from the eighth seed. TWO GAMES PEOPLE! The West is really going to be tough to predict, but if anyone can do it correctly….it’s this guy. So anyway, let’s stop with the bullcrap and get to the goods. 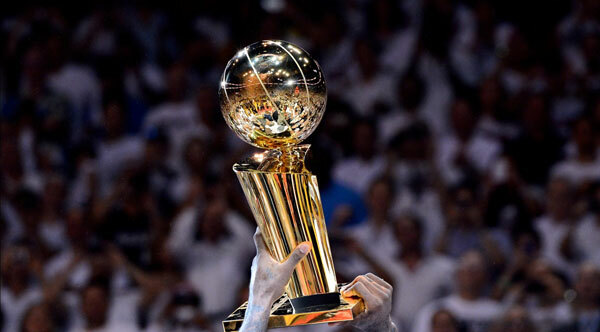 Who’s winning the NBA title this year?